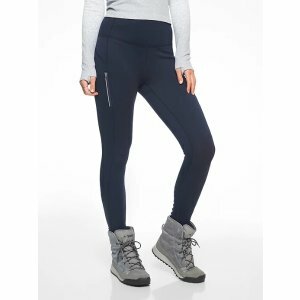 Athleta offers 20% off Cold Weather Styles via coupon code "WINTER20". Athleta offers an extra 20% off Sale Items via coupon code "EXTRA20". Athleta offers up to 50% off Semi-Annual Sale. Athleta offers free shipping No Minimum With Any Order. Free shipping via coupon code "SHIPDAY". Athleta offers up to 50% off Sale. 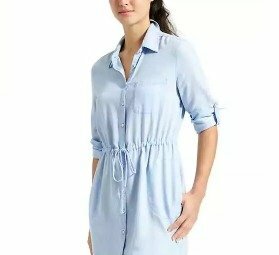 Athleta offers up to 50% off Dresses Sale. 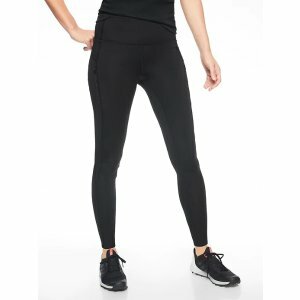 Athleta offers Save $10 On All Full-Priced Pants & Tights via coupon code "PANTS10". Athleta offers 20% Off All Full-priced Sport Bras + Support Tops via coupon code "SUPPORT". Deal expires 9/8 at 03:00 am EST. Athleta, the women's athletic apparel member of the Gap family, takes up to 70% off select apparel and accessories in its sale section. Shipping is a flat-rate $7, or spend over $50 to get free shipping. Athleta, the women's athletic apparel member of the Gap family, offers up to 60% sale items during its Semi-Annual Sale. Plus, coupon code "SUMMERFUN" cuts an extra 20% off. Shipping costs a flat $7, but orders of $50 or more qualify for free shipping. Athleta, the women's athletic apparel member of the Gap family, takes up to 60% off select apparel and accessories during its Semi-Annual Sale. Athleta offers its Athleta Women's Pacer Half-Zip Jacket in Grey Heather , Black, or Coy Blue for $64.99 with free shipping. Athleta, the women's athletic apparel member of the Gap family, takes an extra 20% off sale items via coupon code "EXTRA20". Shipping costs $7, but orders of $50 or more qualify for free shipping. Athleta, the women's athletic apparel member of the Gap family, takes up to 50% off select apparel and accessories during its Semi-Annual Sale. Plus, take an extra 20% off sale items via coupon code "WINTER20". Dealmoon recommends: the Athleta Women's Teton Zip Sweater in Sienna (pictured) for $44.99 before coupon, $35.99 after with $7 for shipping. Athleta cuts 30% off entire site via coupon code "HUGECYBER" during its Cyber Savings Event. Plus, it stacks onto sale items. 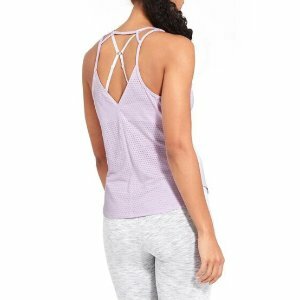 Athleta offers its Women's Kali Hoodie in three colors (Fresh Lilac pictured) for $29.99 plus $7 for shipping. Features/Specifications: a V-neckline, kangaroo pocket, 3/4-length sleeves, banded waistband, and more. Athleta, the women's athletic apparel member of the Gap family, takes up to 70% off select items during its Semi-Annual sale.